Question: Does it really make a difference where you get ordained? First off, it’s ridiculously easy to get ordained. Any religious organization can ordain its own ministers. And the organization can decide how/who/when it ordains its clergy. So basically that means any religious organization can ordain its ministers online. And once ordained, you can perform weddings in just about every state in the U.S. If all you want to do is perform a wedding and you don’t give a lick otherwise, pick your favorite website and pay the fee and be done. Admittedly, many unoriginal people go this route – they pick an online ordination service because that’s where everyone else got ordained. Why use some generic religious organization. Why not find an organization that you like. Or that speaks to you. Or that has an original and beautiful ordination certificate. I’ll give you some information and background on each of the main online ministries and you can decide for yourself which you like the most. Back in the wild west days of the Internet (circa 2003) I was searching around for somewhere to get ordained online because my brother asked me to perform his wedding. In those days there were only a few options to get ordained online. And really my main concern was finding a “legitimate” religious organization. Many of the websites I found looked spammy or scammy. They said things like, “get ordained instantly”, “start your own church today” and “perform weddings and funerals for cash and meet pretty girls”. 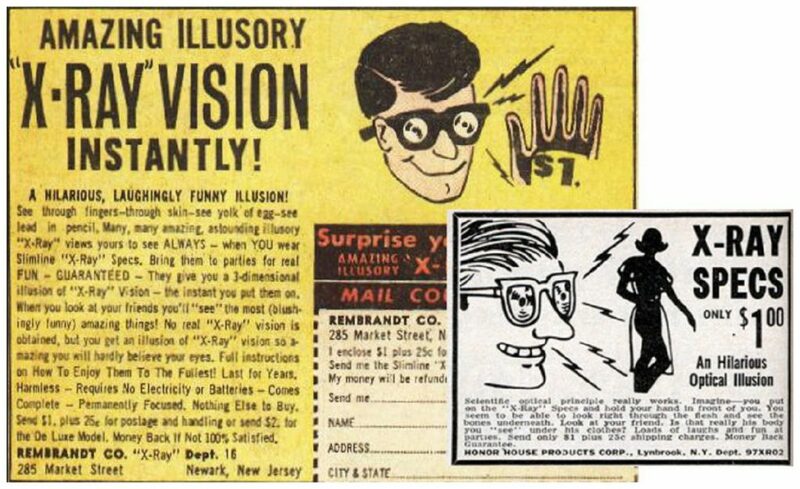 They reminded me of those ads on the back of comic books promising x-ray vision for $1.00. 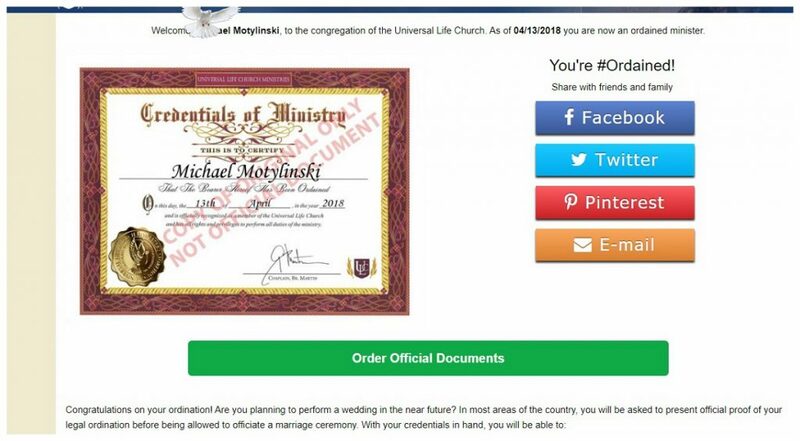 Call me old fashioned, but I always imagined becoming an ordained minister required a some effort. Not that I wanted to go to seminary school, I just figured it would take more than “Click Here” to get ordained. I eventually found an online church that felt less fake. They seemed like a real organization that believed in something and had some standards. So I went with the 2nd one, entered my credit card info, and received a certificate in the mail a week later. Fast forward 10 years, and I’m performing weddings full-time throughout the islands in the Caribbean. A couple wanted to get married on small island where I had never performed a wedding before. The tiny little island required an original copy of my ordination papers. I tried finding my church online and discovered they had stopped ordaining ministers and made me pay $200 for a certified copy of my ordination papers. And they told me they would no longer be renewing my membership in the church. So I guess the moral of the story is to get ordained by an organization that’s going to make you the greatest minister ever. *By the way, that first website that looked like an ad from the back of a comic book? Well they’re now one of the largest online churches in the world. Anyhow, there are about 8-10 main religious organizations online that ordain ministers. I took the liberty of reviewing them to find the best. My standards weren’t exactly scientific. I am highlighting the ones that have longevity and some other redeeming quality(ies). We here at Wanderlust believe a few simple things: Life is short. You should find joy in simple things. We also think weddings are one of the greatest pleasures in life. And we believe every wedding should be unforgettable. We ordain people with one goal in mind – to make weddings fun again. Having been involved in thousands of weddings, we find that too many weddings are stressful and forgettable (or unforgettable for the wrong reasons, i.e. the minister calls the bride the wrong name, the father of the bride gets drunk and fondles a bridesmaid, etc.). Our ministers believe the wedding is the culmination of all that is good in the world. A wedding should be a party. It should be about laughter and love. …but if you want to get ordained and perform the greatest ceremony in the history of weddings, well, you should get ordained with Wanderlust. If you want to feel the rush of excitement and exhilaration of becoming a wedding ceremony master, we are ready for you. 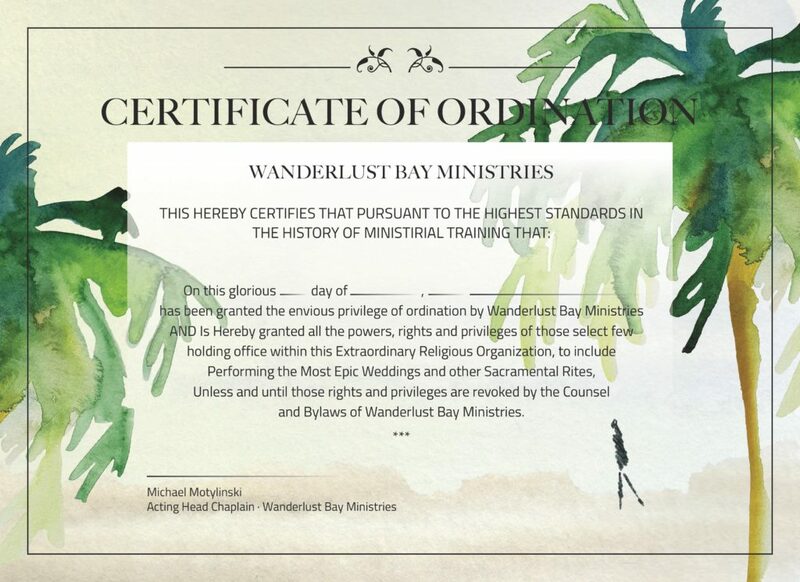 When you are ready to begin your amazing journey as a Wanderlust Bay minister, we have 2 stunning Ordination Certificates to choose from (above is “Lonely Palm”) to herald your membership in our organization. You’ll get to hang one of these little works of art on your wall and the world will know you are a wedding minister with Wanderlust. Also included in our ordination is an actual team of ordained ministers to answer your ceremony questions. We are an established ministry in the islands and are always available to talk weddings. We are a US organization so our ministers perform weddings throughout the United States. P.S. Probably one of the most important pieces to your membership in Wanderlust Bay Ministries is our rum ceremony. There’s a famous scene in It’s a Wonderful Life, where a tiny bell on a Christmas tree rings – every time a bell rings an angel gets its wings. Well when you get your wings (get ordained online) with us, we all get together on a secluded beach here on the island and have us a little nip of rum in your honor. This is the giant. The behemoth. The New York Yankees of online ministries. They are everywhere. 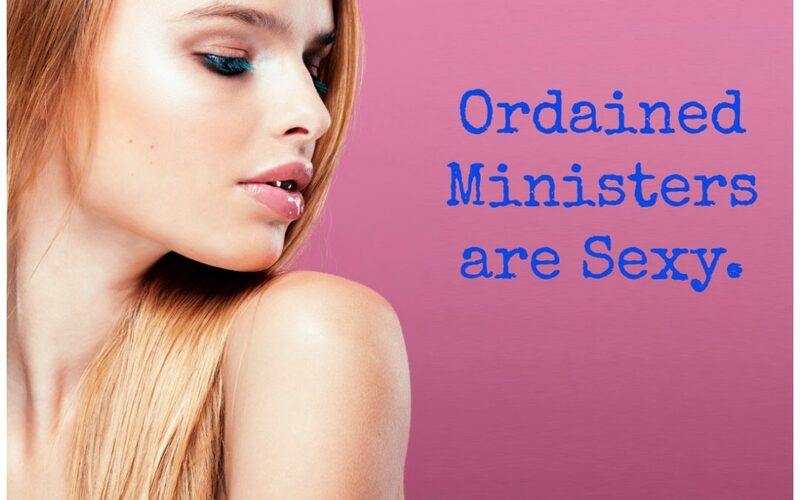 I bet – if they kept statistics on this sort of thing – 84% of all ministers in the world are ordained with Universal Life Church. At just about every wedding I perform someone comes up and asks me if I’m ordained by Universal Life. They then proceed to tell me about their Uncle Herb who’s ordained by ULC. I bet you could play the Kevin Bacon Game but instead go with people you know who are ordained by ULC and connect to anyone in the world in 2 steps. If you want to get ordained by the church, you will find many different sites all offering ordinations with ULC. As best as I can tell, each site is run by different groups within the same Universal Life Church. Universal Life Church calls itself a “non-denominational religious organization” that believes anyone and everyone should be allowed to believe what they want as members of the church. Wikipedia. Getting ordained with ULC requires you fill out some basic information – your name and email. And you’re ordained, for free! But that really isn’t the end of the process. As you see in the small print at the bottom of the web page image, you have to actually order the official documents. They charge $39.99 to get your ordination papers. You will need ordination papers to legally perform weddings in almost all jurisdictions in the United States. First Nation Church, also known as “The Official Church of Love”, calls itself an “inter-denominational life celebration” ministry. So it doesn’t matter whether you’re Jewish, Muslim, Agnostic or Atheist, you are welcome to the club. They throw in some other stuff too, but the most important and useful piece is the ordination papers. The ordination papers give you the power to perform legal weddings. What I do like about First Nation Church is the list of the local requirements for the marriage license it provides. For example, some jurisdictions require that you file the license within 7 days of the wedding. So they’ll send you a fact sheet of the legal requirement for whichever state you are performing a wedding. The information is nice, but you shouldn’t rely on their forms as state and local laws do change and you don’t want to be responsible for invalidating a wedding! The only sure way to know the wedding requirements is to contact the court or office overseeing marriages and ask them the legal steps. Again, you don’t want to rely solely on whatever form you receive from First Nation. Check with the local court where you’ll be filing the marriage license. And as far as the parking permit…well if it works, that might be the coolest perk ever! Imagine: park where you want, whenever you want and never have to worry about a parking ticket again…maybe. Hats off to these folks. They have asserted their First Amendment rights, and can’t nobody fault them for that. This is a “religious organization” and yet is explicitly non-religious. I mean why should religion have all the fun? This group is made up mostly of agnostics and atheists (as far as I can tell) that want to perform weddings – although anyone can join Flying Spaghetti regardless of his or her personal religion. -All people are descended from pirates. Pirates being good people that have been mischaracterized by Christians. -When you die and go to Heaven, there is a volcano made of beer and a factory that churns out strippers. Yes strippers. I assume both male and female strippers. -What make Flying Spaghetti one of the best, is that they have an active community of folks, known as Pastafarians. They also have their own logo and uniform. 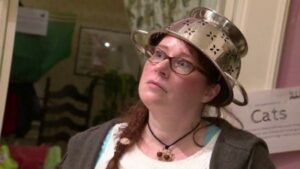 Meaning if you want to really be hard-core Pastafarian, you can wear a colander on your head when performing the wedding. I’ve never seen The Big Lebowski. It’s one of those movies that for my generation, is the equivalent of Animal House from my parent’s generation. I do want to see it just to see what all the fuss is about. I’ve got it on my list of movies/tv/series to watch which also includes Sopranos, Breaking Bad, Game of Thrones and Lost. Whomever came up with this was brilliant. It’s not in any way associate with the movie or it’s characters but they did create an entire philosophy/religion around being “the Dude”. You can only understand what that means if you’ve seen the movie and it helps if you’ve smoked large amounts of green leafy stuff. Again, The Church of Dude is not actually endorsed or affiliated with The Big Lebowski, just a really clever way some fans chose to honor the cult classic. [U]phold the principles of Dudeism: To just take it easy, to be dude (easygoing) to everyone I meet, and to keep my mind limber. They offer a pretty fun community of folks. 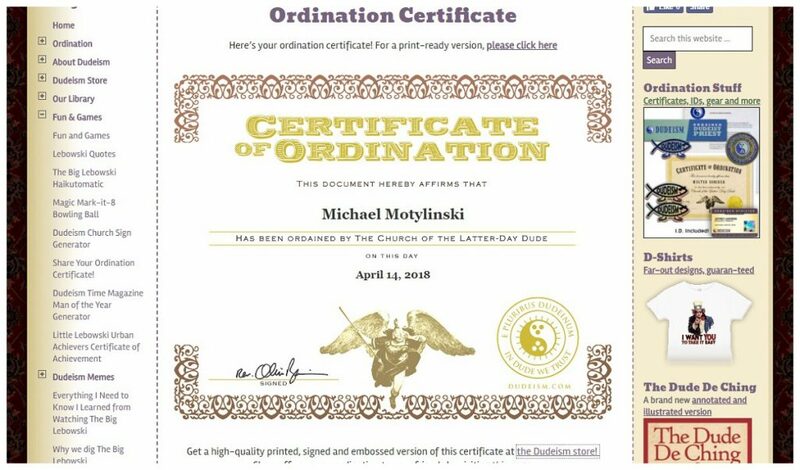 According to the website over 450,000 people have been ordained into the church of Dude. The Dudists also sell t-shirts, magnets, pint glasses, books and more. All of the above organizations offer a legitimate and legal ordination allowing you to perform weddings. And there are others out there. If you decide to get ordained online with an organization other than the ones discussed above, take a few moments to verify they’re legit. I’ve yet to see a religious ministry online that is falsely ordaining ministers.